At some point it may become absolutely necessary for you to leave your current job. It may be because you have outgrown the position, the job is no longer enjoyable or your boss and/or colleagues make it impossible for you to stay. 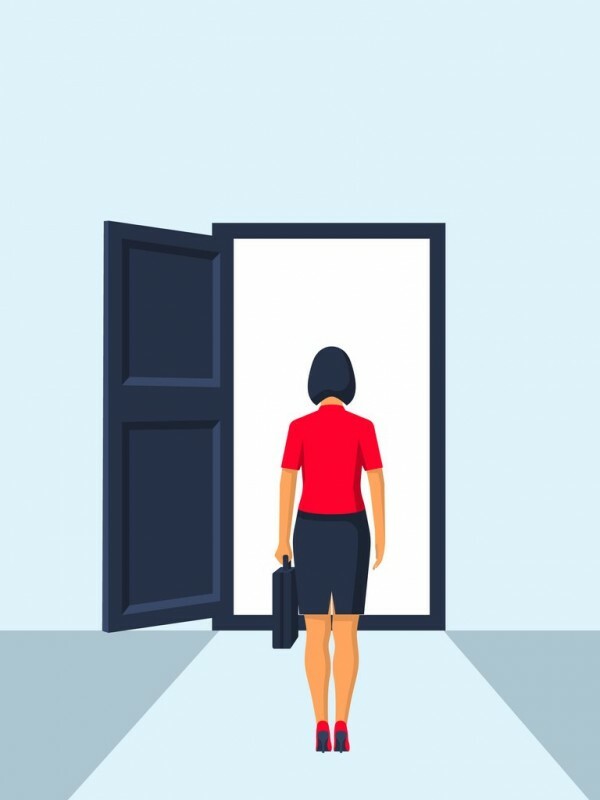 No matter why you are leaving, how you manage your exit can impact your career into the future. You may want to use your current boss and co-workers as references someday, or your paths may cross again over the course of your career. Industries are small, and people have long memories of people who have done them wrong. The best way to begin a new position is to make sure you have left the prior position gracefully. Let’s explore some of the things you should consider as you contemplate your exit. Should I tell my boss I’m considering leaving? If you rely on a quick internet search for the answer, you come away convinced the answer is no! That may be the answer sometimes, but not always. If your work environment and your boss are toxic and unsupportive, then not saying anything is probably correct. However, there are many factors to consider, and sometimes telling your boss might be a good option. Let’s explore why you would tell your boss. I’m the director of a three-person office. As a result, I know the two people I recently hired will need to leave at some point to advance their careers. I had a very frank discussion with them about this when they joined my team. I asked what their career aspirations were and what I could do to help them achieve them. I asked them to give me at least two years before leaving and asked them to please tell me when they were ready to go so I could help them move to that next position. You may be thinking this is only because I work in career development, but I know other leaders who take pride in their ability to help their employees grow their skills and advance in their careers. In fact, good leaders know that when their people soar to new heights, it’s a strong endorsement of their leadership skills. But what if you’re not sure your boss wants to see you advance your career? I was in that situation in my last position. With my first boss, I was not sure my desire for career advancement would be met positively, so I didn’t mention several jobs for which I interviewed. Then I was recruited for a position in a different division on the same campus, and the person recruiting me was very open about it, so my boss knew. I was happy to discover that she was supportive up to the interview and even after when they offered the position to another candidate. Then a new boss came in about one year before I applied for my current position. When I got called for the interview, I struggled with whether to say something to my new boss or remain silent. I chose to tell her and stressed that I wasn’t randomly applying for jobs, but this happened to be an excellent opportunity for me. She told me she wished me the best and that no matter the outcome, she would support me. So before you assume it’s never a good idea to talk to your boss about leaving, give it some thought. One way to get a feel for how your boss might react is to discuss career aspirations during a performance appraisal. Ask about opportunities to grow within your department/division/organization and see how she or he responds. Pay attention to both the verbal and nonverbal message — sometimes people say they are OK with something, but it’s clear from their tone, facial expressions and body language that they are not. You can also talk to your co-workers and pay attention to what happens when others move on. You may find your boss is an ally, not an enemy, on your path to career advancement. How much notice should I give? If you ask anyone with a job and look at all the articles on the internet about quitting, they all say to give two weeks’ notice. I would like to counter that by suggesting it depends. In higher education, certain times of the year are particularly busy, and giving only two weeks’ notice at that time can leave people scrambling and stressed. For example, leaving your university position at the beginning of the fall could be devastating enough for the department that you may burn a bridge. In industry, if you leave in the middle of a major project, or during the busy season, there may be negative ramifications down the road. You should consider other timing issues, as well. I know someone who gave two weeks’ notice, but the first week and part of the second week she was on vacation and during the second week her boss was out of the office. So while she gave two weeks, she only worked three of those days, which did not give much time for off-boarding her effectively. In short, two weeks may not be enough time to adequately make the knowledge transfer necessary to help mitigate the impact of your departure. I have also seen advice in articles that suggest you should offer to stay long enough to train your replacement before you leave, which contradicts the advice to only give two weeks. If your replacement is currently on staff and the tasks for your position and your projects are not overly complex, you may be able to accomplish this in two weeks. But if your current employer needs to hire someone to replace you, that usually won’t be possible. I have seen rare cases where someone has stayed long enough to help hire and train their replacement, but that depends on how long your new employer is willing to wait for you. While you do need to put your needs first when making your decision about when to depart, do give thought to how you want to end the relationship with your current boss and co-workers, as an untimely departure may mean burning bridges. I was recently asked if it’s ever appropriate to leave with no notice — to just walk out the door and never come back. There may be reasons why that is the best option. For example, an extremely toxic climate is putting your mental health in jeopardy. Or if your boss is asking you to do something that is unethical or illegal and you have been ordered to perform the activity, an immediate departure may be the right thing to do. Or maybe you have decided you won’t ever need the help of any of your colleagues in the future. If you do choose to leave without notice, consider the consequences and do a cost/benefit analysis as part of your decision-making process. One thing you should always do at your job is keep a careful record of what you do and how you do it, so when it is time for you to leave, you have documentation to leave behind. Doing that will help ease your transition and will help you leave on a strong note — and while you are there will come in handy as you prepare for performance appraisals. How should I best prepare to leave? Once you decide it’s time to leave, you must be prepared for it to take a while. In the meantime, avoid disengaging from your current employer. It is especially important to remain engaged if you are trying to avoid signaling your departure to your boss. As you begin to look for new positions, explore ways to build skills and experiences in your current role. Conduct a gap analysis for the types of positions you want and identify any opportunities to fill those gaps in your current job. If your boss is supportive of your move, have a frank discussion about what she or he can do to help you prepare. If you are leaving because of a bad boss or a bad workplace culture, you need to carefully monitor your attitude. I’ve been in a bad workplace, and it took me a while to get out of it. It’s hard to stay motivated in such a workplace, but not doing so may hurt your chances of leaving on your terms. In fact, based on my experience, I advise those in similar situations to watch for nonverbal leakage. When you are desperate to leave and running away from something rather than running to something, you may be giving subtle signals — a tone of voice or body language — that can negatively impact your interview performance. We all think we are better at masking our emotions than we really are. If you have resentment or contempt for your boss and co-workers, you may reveal some of that in how you discuss your current workplace or explain why you are leaving. An employer doesn’t want to hire someone trying to exit a bad situation — they want to hire someone eager for a new opportunity and growth. Knowing how to manage your career through its life span is a valuable skill, and learning to leave positions gracefully is part of the learning process. If you make a good exit, even from a bad situation, you can preserve relationships that may serve you well in the future.